Part design shop. Part marketing agency. Fully awesome. We design for all screens and platforms, aiming to create an immersive brand experience for your audience. We aim to create experiences that inspire, persuade, and resonate. We are a full service web design agency specializing in the development of fresh digital media and web design. We build brands, experiences and campaigns for every screen. From website development to apps, we have experience in all areas of digital design. A digital media agency based in Washington DC, we help our clients find, convert and retain an audience. We focus on all aspects of our client goals and expectations for our digital media projects, web design and marketing. Our design process is streamlined to deliver results with an emphasis on return on investment. Our client partnerships are tight knit. We know our clients - know their business, know their goals, know their audience, know their future. Our understanding of our clients is essential to success. Whether you are looking for a web design that attracts more clients, boosts sales, raises awareness or reboots your brand – we are an agency that delivers. We build and reboot brands to create experiences that stick with your customers and keep them captivated. Offering website design, website development, and web applications, 80Port is a web design company in Washington DC that specializes in providing affordable web design and development. A full service DC web design company, we coordinate all the elements of your web presence. We preserve your brand and identity by offering custom web design and layout. With years of experience, we have a proven track record of providing quality websites at great prices. 80Port is one of the leading Web Design Companies in Washington DC, providing quality web solutions to businesses large and small. Our web solutions include Website development, E-commerce, Content Management Systems, Website Design, Search engine optimization, Wordpress Development and Online Marketing. Whether you need to create or renew your brand, we are confident our experience and performance will deliver the best solution for your needs. 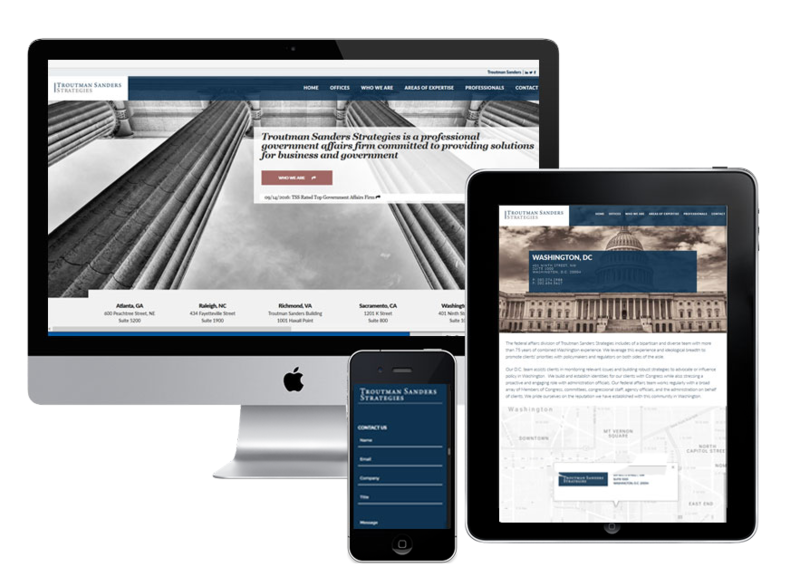 Based in DC’s Penn Quarter, 80Port web design follows a policy of flexible solutions to fit client needs. We examine the specific needs and challenges of each client, large or small. Our solutions are then tailored to meet the challenges brought by each client. We bring the same high level of quality to international companies and small local Washington DC businesses alike. Our team is committed to helping our clients solve their web site challenges through discovery that focuses on specific needs. We pride ourselves on quality customer service. We are in the office during business hours every day, available for phone calls and e-mail support. When you work with us, for most projects you are likely to interact with every member of our team at some point in the process. From our marketing team to our skilled in-house web development and staff, we are all committed to designing and delivering a web solution to achieve your project goals. Home - 80Port web design agency in DC is a full service marketing and digital design agency. We provide custom web design for Washington DC Area startups and established corporate clients. We dive into your goals to devise an engaging experience for your target market. Our clients are our partners. We build relationships that last from conception of a project to reflection and measuring results. We believe that this is the only path to success - to follow a process designed to fulfill your expectations and create an immersive experience for your audience. Project success doesn't happen by accident. It requires a disciplined process with a focus on key objectives. We take the time to get to know you, to know your audience and to understand what we want your audience to do.